Celebrate Christmas with a home-grown Schaefer’s Poinsettia. We deliver daily (M-Sa) to the Aurora area, including Yorkville, Oswego, Naperville, Montgomery, Sugar Grove, North Aurora and Bristol Il. 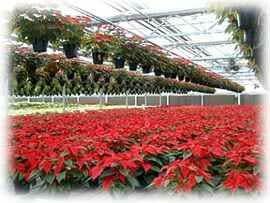 Check out this article in the Aurora Beacon-News about Poinsettia’s at Schaefer Greenhouses. 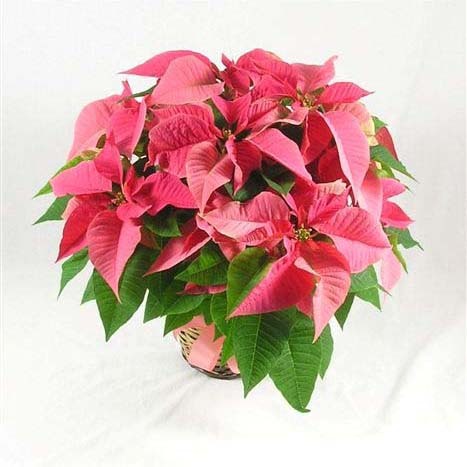 The Poinsettia plant is the #1 live plant sold in the United States today and also the most misspelled (pointsetta, pointsettas, pointsettia, poinsetta or poinsettas) . A native of Mexico, the poinsettia was introduced to the US in 1828 and has become a symbol of the winter holiday season. 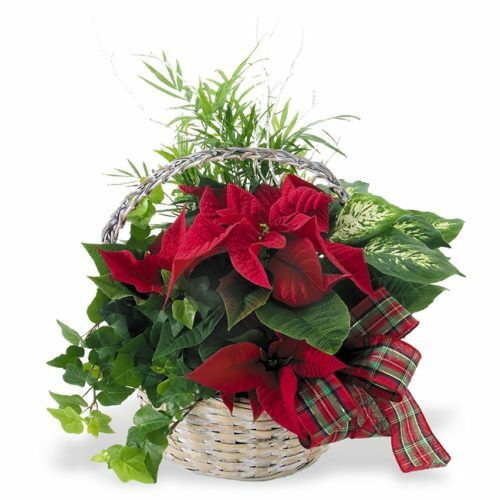 Representing over 85% of holiday plant sales, the poinsettia plant is a Christmas tradition. Schaefer’s Greenhouse, Florist & Garden Center offers a wide variety of poinsettias. Each year we grow over 60 varieties of poinsettia plants in 20 or more colors – from traditional red to burgundy, white, peach, and even marble or speckled varieties. 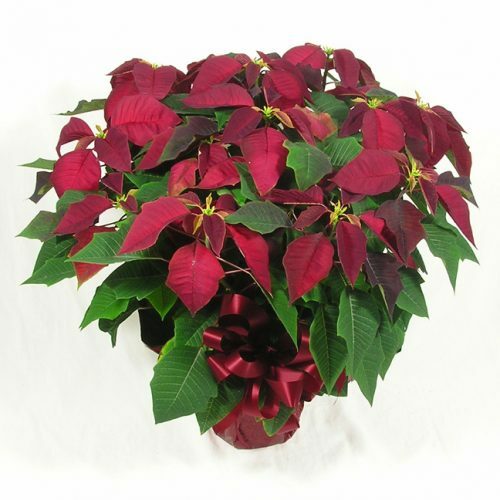 Enjoy a Schaefer’s poinsettia plant in your home this holiday season! 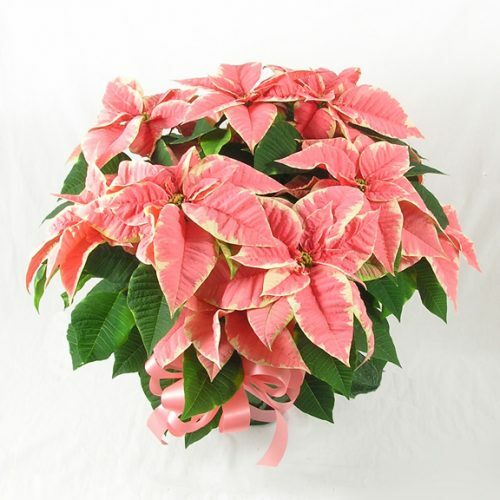 At Schaefers, poinsettia plant production begins in January with the arrival of fresh stock plants. Over the course of the year, we propagate new plants, ship cuttings to other local greenhouses and garden centers and tend to the plants that will be sold for the holiday season. Our poinsettias are raised in a professional environment with automated lighting and temperature controls, as well as generations of grower experience. The result – our plants last longer and produce more vivid blooms than those of our competitors. 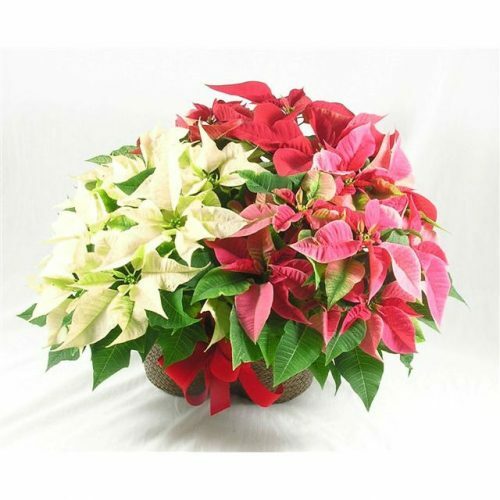 When you buy a poinsettia plant from Schaefer Greenhouses, you can be sure that you are getting a florist-quality, vibrant plant! To give you a chance to experience the beauty of our Christmas poinsettias, Schaefers hosts a Poinsettia Open House every year featuring none other than Santa Claus! Our poinsettias set the scene and we encourage you to bring your cameras to take beautiful holiday pictures with our fabulous poinsettia plants. When you enter the greenhouse, you’ll be overwhelmed by a sea of color. You can wander through aisles of beautiful poinsettias, taking snapshots as you go. The kids can pose for a picture with Santa! 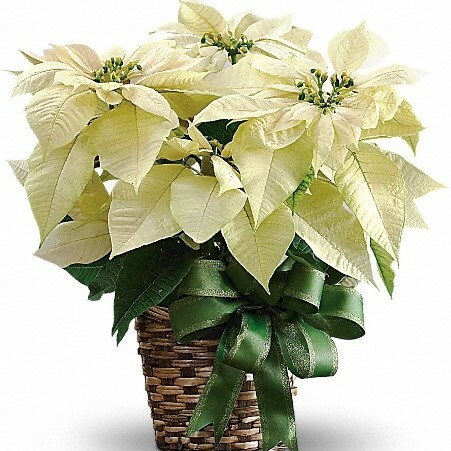 If your organization is planning a winter fundraiser, consider poinsettias as your product of choice. 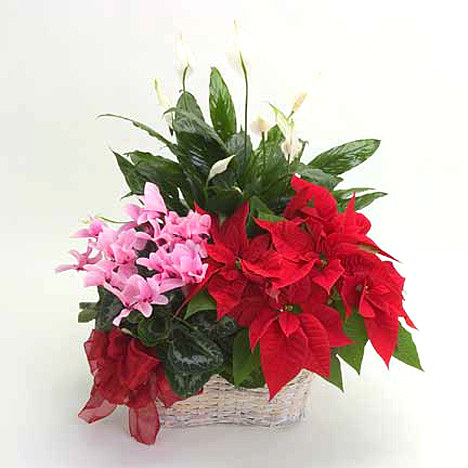 Poinsettias make a great gift for both residential and corporate environments. Add a little cheer to your holiday fundraising. Find out more about our poinsettia fundraisers! When the holidays arrive, visit Schaefer Greenhouses for the finest poinsettia plant selection in town! 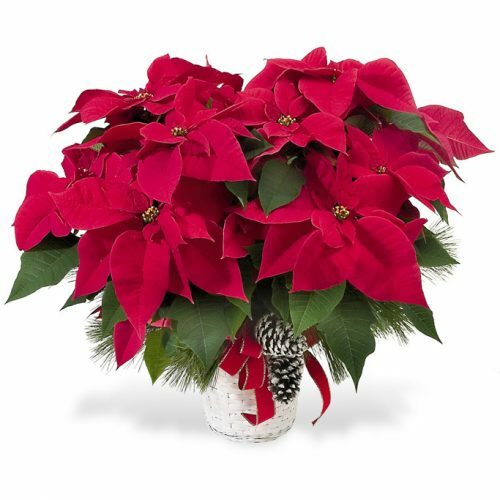 Whether you’re looking for a great gift or decorating your own home or office, our Christmas poinsettias will make the perfect addition to your holiday decor. Come see our greenhouse, located in Montgomery, Illinois (IL) (Map to Schaefer Greenhouses). Don’t forget to give a poinsettia on December 12 – National Poinsettia Day! For more information on poinsettias see our poinsettia care and re-flowering your poinsettia pages.